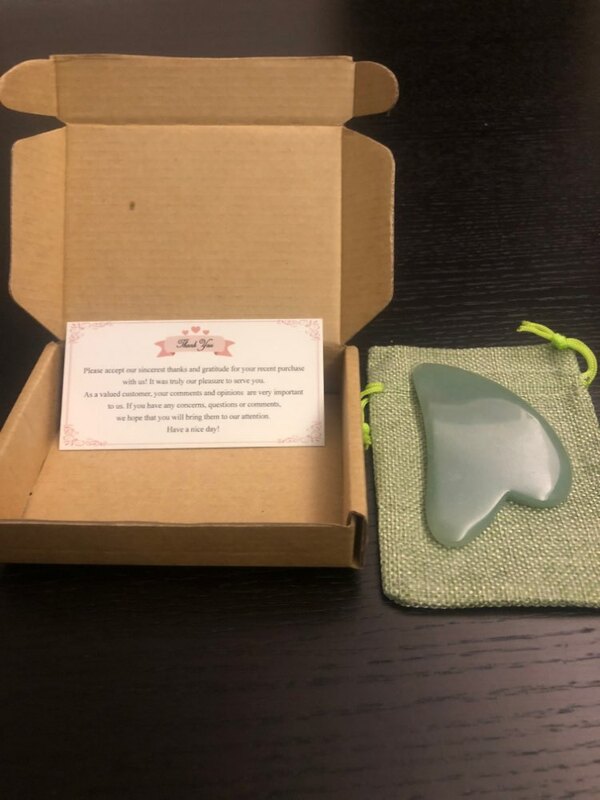 Based on a 2000 year old Chinese technique known as Gua Sha, this tool offers myofascial release to help you relieve muscle and joint pain, quickly and effectively! This gua sha will feel comfortable no matter which part of the body it will be used on. Ideal to be used on the back (most commonly treated), and legs. Also, it is gentle enough to cleanse and treat the face without leaving any unsightly marks and with very little pain. You'll feel comfortable and smooth when holding and using, won't hurt skins. It also a perfect gift for your family, friends, colleagues, or schoolmates. Very accurated to description and pictures, great service aswell. Very well packed!! Good quality! Fast delivery!! Do suppoet this seller! !